Sri Lankan Minster of External Affairs G.L. Pieris delivered Sri Lanka's opening address to the 25th session of the Human Rights Council on Day 3 of the session. In the address, Sri Lanka completely rejected High Commissioner Navi Pillay's recent report on SL stating that it was 'fundamentally flawed', and raised issue at the onset regarding the financial independence of the Office of the High Commssioner for Human Rights. Minister Pieris stressed the suggestion that the High Commissioner's actions would create a negative impact on reconciliation in Sri Lanka. Sri Lanka also attacked the High Commissioner's report as being based on 'questionable and baseless material' while Minister Pieris himself quoted statistics relating to IDP resettlement and denial of militarization which were contrary to the reality on the ground. A copy of the 14-page address was passed around to members of the HRC and can be found here. 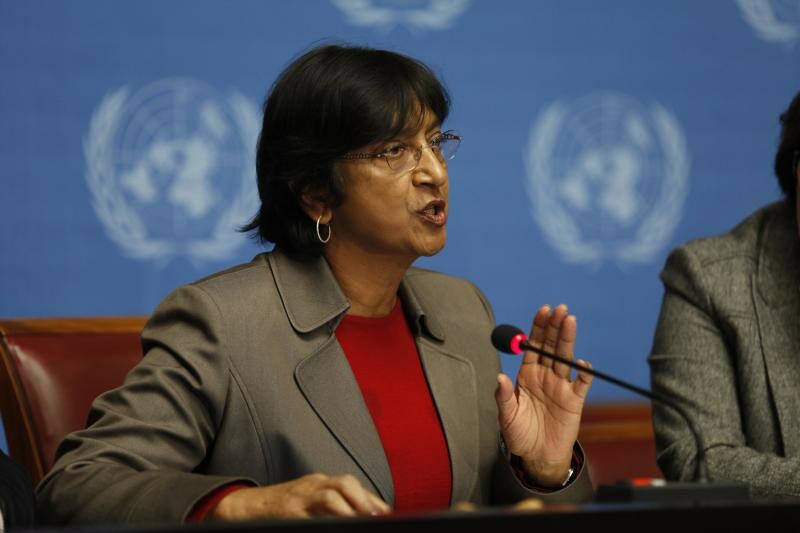 UN High Commissioner for Human Rights Navi Pillay presented her annual report to the Human Rights Council in Geneva. Pillay argued that the Government of Sri Lanka had failed to conduct a credible and independent investigation into allegations of human rights violations. She went on to recommend that the Council establish its own international inquiry mechanism in the abscence of domestic mechanisms. Find the full text of her address here. In an address to the HRC, Indian NGO Pasumai Thaayagam recommended that the UN HRC appoint an international Commission of Inquiry (COI) to investigate genocide being committed against the Tamils in Sri Lanka. "When crimes of genocide and crimes against humanity are left unpunished, and the international community lacks the will to ensure accountability, it creates an environment of impunity that makes the world more vulnerable. Accountability requires first of all fact-finding, then the identification of those responsible, punishment, reparations for victims, and restructuring of national institutions. When accountability is not a priority, prevention against future violations will also suffer." Stating that the Council was lagging behind in responsing to the High Commissioner's call for an international investigation on Sri Lanka, the NGO requested that an international COI be appointed to investigate international crimes including the crime of genocide. Are you behind on developments at UNHRC 25? Check out our summaries of Day 1 and Day 2 to get up to date.